November 29 2018. The USATF Club Cross Country National Championships return to the Plantes Ferry Sports Complex in Spokane Washington this December 8th. 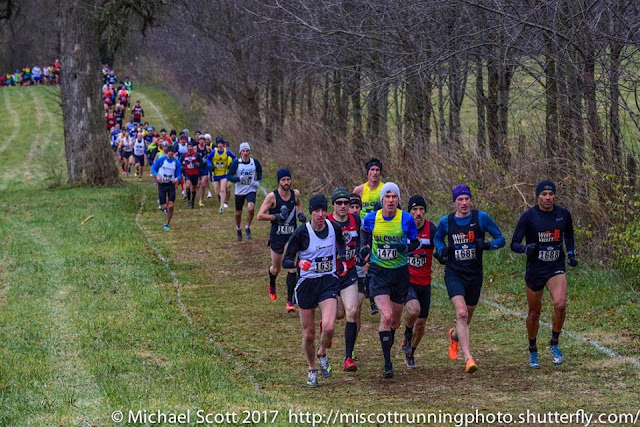 Last held here a decade ago, many runners recall that race as having some of the most challenging conditions they have raced in. "Snow, 40 mph winds and -20 degrees wind chill factor", recalls Doug Goodhue, who took the Men's 65-69 title that year. If the 10 day ahead forecast is close to being right, conditions will be better this year. The week before, no precipitation is forecast, with most days partly sunny to sunny. That means footing should be okay. The day of the race, the forecast calls for cloudy and cold, mid to upper 20's, with moderate winds and no precipitation. With several days to go, we all know the forecast could turn around but, as of now, it looks like good winter running conditions. Nearly 600 Masters runners have already signed up for the race, with more entering each day. There is firepower up front and plenty of strong team runners who will be fighting for every place out on the turf. No individual overall championship medals are awarded in the race; Age Division medals are available. But when the gun goes off, the race is on. We are interested in who comes across the finish line first; that is human nature. So this first installment of the preview looks at some contenders for the 'win' in the Women's Overall Race and in each of the two Men's races. Women. A decade ago Carmen Ayala-Troncoso led all the runners across the finish line. Now she is one of the favorites to win her 55-59 age division. There are several candidates to take her place at the front of the entire field in the 6K race a decade later. Surprisingly, the defending Champion, Kris Paaso, is not entered, nor are any of the top 8 finishers from last year. But new entrants with a good shot at a top 3 overall finish include: Meriah Earle, Rachel Jaten, Kate Landau, Kaela O'Neil, Grace Padilla, Maggie Shearer, Heather Tanner, Heather Webster, and Cambria Wu. If any of those youngsters falter, there are four seasoned competitors who have broken into the top 5 at recent Cross Country outings: Tania Fischer, Susan Hay, Kirsten Leetch, and Marisa Sutera Strange. Earle San Diego Track Club took the Women's 35-39 title at the Carlsbad 5000 in 17:05 in the spring and more recently ran 18:05 in the Balboa Boogie. In between she clocked a 1:16:26 in claiming the Master's title at the Bjorklund Half Marathon at Grandma's in June. She took the Masters title, and 3rd Overall, at the San Diego USATF XC Championships a couple of weeks ago in 23:21. Her participation in a 2015 Mud Run will, I hope, not be a hugely helpful experience for success in Spokane. Jaten unaffiliated, primarily a Trail Runner, found time to run in the USATF Masters Half Marathon National Championships in 2016, clocking a 1:16:03 to take the win. This past spring she had the second fastest Master's time, 43:46, [age-grade equivalent to a 36:19 10K] behind Jen Rhines, at the tough 12K race, the Lilac Bloomsday. In 2016 she ran 2:46:28 to finish 48th in the Olympic Trials Marathon of the 149 finishers. Landau Tacoma City Running Club took the Masters title, finishing 8th overall at the BOA Chicago Marathon in 2:33:26 this year. She also clocked a 1:16:28 at the Labor Day HM in Redmond WA, and a 55:32 in the Hot Chocolate 15K in Seattle. I would comment on her lack of recent XC experience were it not for the fact that she finished 17th in the NCAA Division 1 XC Championships 20 years ago. 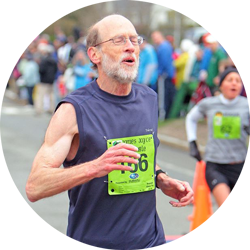 O'Neil Boston Athletic Association/BAA, a newly minted Masters athlete, ran in the James Joyce Ramble 10K Open division in April. Had she been competing in the Masters Championship, her 38:35 would have placed her 4th, just behind Jennifer St. Jean. In August she was the third woman over the finish line overall at Joan Benoit Samuelson's Beach to Beacon 10K in 36:45 so she may have had an off day at the Ramble. 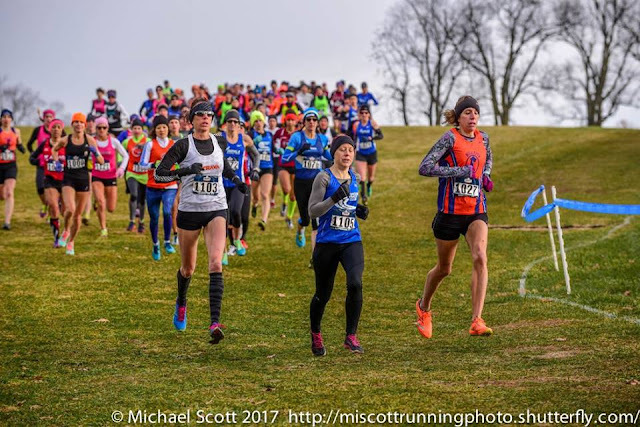 Her prep for Spokane included taking the title at the USATF New England XC Championships in 23:14. Padilla The Janes Elite Racing has experience in challenging conditions, taking the win at the 2016 USATF Cross Country Championships in Bend Oregon in 25:18 and finishing 2nd to Melody Fairchild in 24:52 the next year. She ran 18:44 at Carlsbad and more recently an 18:31 at Pride of the Valley 5K. Padila took 3rd Masters at the USATF So Cal XC Championships in 23:19. Shearer TeaMosqueda Elite finished 2nd to Jennifer Bayliss at the USATF Cross Country National Championships in Tallahassee in 22:19. She ran 17:45 at Carlsbad and took the Masters win at America's Finest City HM in 1:21:17. Her prep included a win at the So Cal XC Championships in 22:55. Tanner Club Northwest had a 17:57 on the Carnation Run for the Pies 5K USATF Certified loop course 'flat and fast' and ran 57:58 in the Hot Chocolate 15K in Seattle, age grade equivalent to a 38:07 10K. She also has some trail and triathlon experience, both of which tend to be good for XC. Webster Genesee Valley Harriers almost always seems to find a way to a finish on or near the podium. She has run her 5K's recently in the 18:30 to low 19 minute range. In 2016 she finished 3rd overall at Club XC in Tallahassee. Wu The Janes Elite Racing, another newly minted Masters athlete, ran 18:25 at the Torrance Armed Forces Day 5K in May. The 23:08 she ran as an Open 39 year old athlete at Club XC in Lexington last year would have earned her a 7th place Masters finish. Among the veterans, Kirsten Leetch and Tania Fischer finished 14th and 19th overall last year at Club XC. 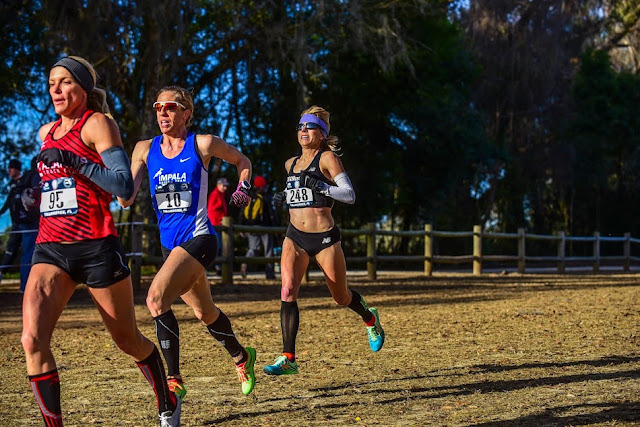 Sutera Strange finished 4th at the USATF XC Championships in Tallahassee earlier this year, finishing a minute and change behind Shearer. Fischer, Hay, and Strange went 3-4-5 at the USATF XC Championships in Bend OR in 2017, with Leetch 45 seconds back. Sutera Strange also finished 4th at 2016 Club XC Championships in Tallahassee. They are forces to be reckoned with, but it would be a bit of an upset if any of them made it onto the podium. Men 40-59. The 10K race has most of the top finishers from last year returning along with a few new challengers. One through 4, Neville Davey, John Howell, Jorge Maravilla, and David Angell are all back. Six through 8 and number 10 return also to see if they can close the gap to the front: Gregory Mitchell, John Gardiner, David Bedoya, and Peter Hammer. 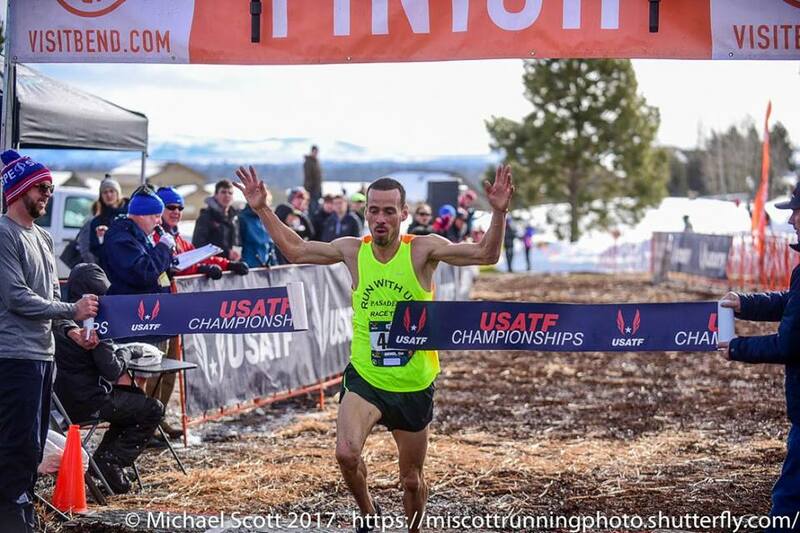 Past 3-time USATF XC Champion, Jacques Sallberg, and four new competitors with Marathon credentials might make their presence known. The marathoners include Charlie Brenneman, Eric Loeffler, Sam Teigen and Olivier Vrambout. Veterans who can never be ignored include Carl Combs, Christian Cushing-Murray, Andy Gardiner, Nat Larson, Kent Lemme, and Uli Steidl. Davey West Valley Track Club led his squad to victory here last year with an impressive break away on the third loop where he pulled away from a lead pack of 7 for a 20 second victory. This year Davey will be pressed to defend; one of his teammates, Maravilla, who could not stay with him last year in Lexington, was able to pull away in the recent Pacific Association XC Championships. But the Masters winner of the Carlsbad 5000 this past spring in 15:20 can never be counted out. He has the speed to close a gap and showed last year he has the strength to win it all. Howell Bowerman Track Club was the only other runner to try to match Davey when he made his move last year. Even though, in the end, he could not stay with him, Howell did succeed in creating a big enough gap to ensure 2nd place with 5 seconds to spare. Unlike most of the other top competitors, Howell has prepared this year with Spartan Beast and Mudder outings. At the Stumptown XC 8K Race in Portland last month, he finished 2nd to his teammate Joshua Gordon, by 2 seconds. Maravilla West Valley Track Club, as noted above, bested Davey by over a minute at the 6 Mile PA XC Championships. Perhaps that makes him the favorite. But every XC course varies a lot with conditions; we will find out n Spokane. As usual, Maravilla's prep includes impressive road outings like the Biofreeze San Francisco Marathon in 2:27:56 and a 1:08:54 in the San Diego Half Marathon. Angell Roanoke Valley Elite has been tearing up the roads as usual this year, winning USATF Masters Championships at distances from 5K to 15K. 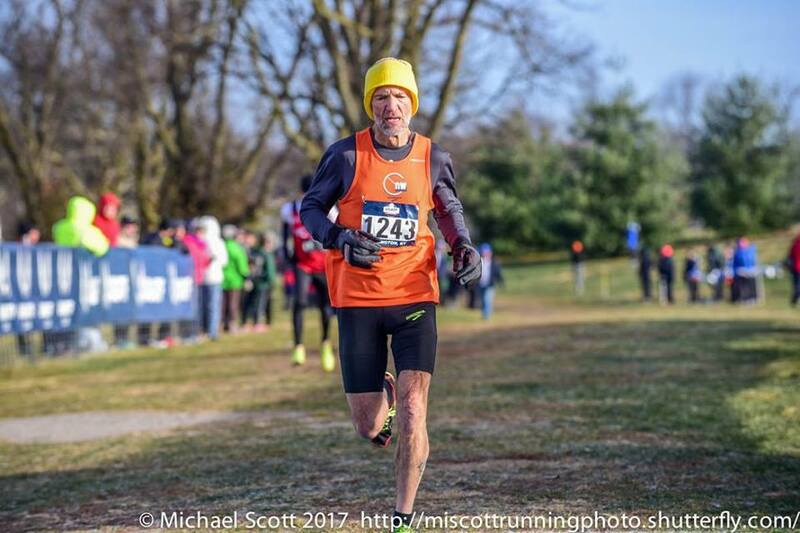 He pocketed his first National Masters XC win at the 5Km Masters Championships in Buffalo this fall, but the Masters podium at the larger XC National Championships has been an elusive goal. He finished 4th last year in Lexington and repeated that in Tallahassee this past February. Perhaps this will be his year. 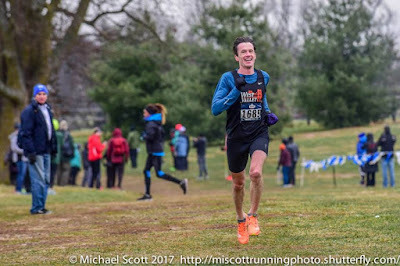 He prepped with a 25:00 (road) 8K Masters win in Richmond, VA a couple of weeks ago. Mitchell Bowerman Track Club won it all in Bethlehem in 2014 and finished 2nd to Kevin Castille at Club XC in San Francisco and again in Tallahassee. Despite nursing an injury through much of 2017, Mitchell still managed a 7th place finish last year. He, no doubt, hopes to move back closer to the front this year. A 2nd place finish to Davey at Carlsbad in March and a June victory over David Angell at the USATF Masters Half Marathon Championship in 1:10:36 suggests he is recovered. It is hard to tell where he is right now; he did not participate in either of the final 2 Stumptown XC races in Portland. I cannot find any other recent race results either. Gardiner Cal Coast Track Club has been a lead pack fixture Masters National Championship XC races for the last five years. His best results was a 3rd place finish in Tallahassee in 2016. Holder of numerous National Masters Championships on the road, a slightly nicked up Gardiner has had to settle for 2nds and 3rds this season. He finished 2nd to Sallberg at the Southern Cal XC Championships so he may be heading into Spokane close to the top of his game. Bedoya Boston Athletic Association (B.A.A.) always finds his way close to the front by the end of the race. Last year he was caught out, finishing in 8th, 50 seconds back from Davey. At the 10K Masters (road) Championships in April, he took 5th in 33:28. 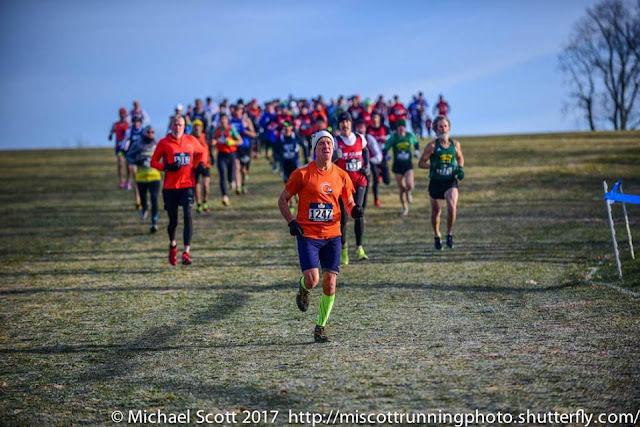 He was 6th at the USATF NE XC Championships but only 6 seconds out of first. Will this be his year to get out in front and hold it? Hammer B.A.A. is a perennial worry. Each year it seems he is older but still there in the pack, ready to spring. Caught in the middle of the chase pack in 2016, the final kick left him in 14th. last year he finished 10th on a tougher course in tougher conditions. Will he move up again in Spokane? 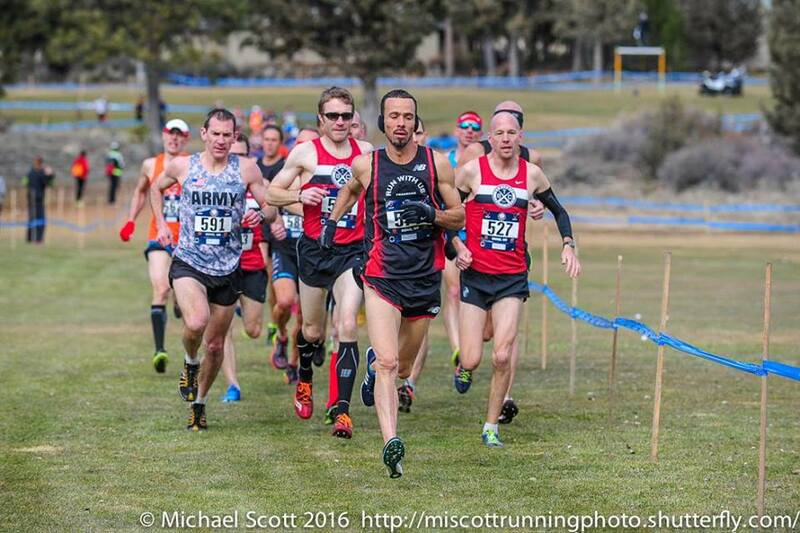 Sallberg Cal Coast Track Club owned the USATF XC Championships Masters Championships from 2015 to 2017 when they were held in the Mountain West, at Boulder and then for its 2 years in Bend. Oregon. Sallberg sprinted away from Mitchell in Boulder on the last loop, and then had more dominant victories in Bend; he found the golf course on the side of a cinder cone more to his liking. His one try at Club XC was slightly less successful as he finished 4th in San Francisco. Now competing for Cal Coast rather than running without a usatf club affiliate, perhaps he will be able to enjoy the podium again in Spokane? Brenneman SRA Elite took on Boston this year and turned in a pretty respectable 2:35:47 in those trying conditions. Conditions in Spokane will probably be a bit colder but unlikely to be as nasty overall. We know he can endure a lot! Loeffler Run Minnesota has been quietly establishing a reputation as one of our strongest Masters Marathoners. He took the Masters title at the California International Marathon (CIM) last year in 2:17:34; in 2017 at Boston, he was the first US Masters Marathoner after Abdi and Meb to cross the finish line in 2:26:00. On the other hand, unlike Maravilla, he has no recent XC races I can find. Success on the roads does not necessarily transfer to the turf. Nonetheless, his prep includes two recent strong outings, a September 1:08:53 HM and a 50:24 Masters win on the tough Medtronic TC 10 Miler in October. Teigen Garden State Track Club is more than a Marathoner but has strong credentials with a 2:36:53 at the Bank of America Chicago Marathon and a 4th place Masters finish at the 2017 CIM in 2:31:35. He has tested hmself on the roads on the USATF Masters Grand Prix circuit, helping his team to the 2018 Men's 40 and up Championship. He took 4th at the 8K and 1 Mile Championship and 3rd at the 10K. He got his Masters National XC Championship baptism with an 8th place finish at the USATF XC Championships in Tallahassee in February. Vrambout Run Minnesota is a bit of a wild card as he loves to race and will sometimes race when not at the peak of his game. This October he ran in the WMA Marathon Championship at the Toronto Downtown Waterfront Marathon two weks after tweaking his adductor at the Medtronic TC Marathon. Despite that, he took the win in 2:38:41, perhaps ten minutes slower than otherwise. Two weeks later he was the first Masters Athlete to cross the finish line at the USATF Trail Marathon Championships in Moab, Utah. Earlier in the year he took the Masters title at the Fifth Third River Bank Run 25K in 1:26:41. Two weeks later he ran 1:13:46 at the Stillwater MN HM, and a week later tested himself at the USATF HM Championship in Ann Arbor MI, perhaps one race too many in a short period. In any case he still took 3rd overall in 1:13:28. As far as I can tell, he has run no races since the Trail Marathon, but with Vrambout, you can never tell. Among the veterans mentioned, Steidl has the most recent success, having finished 3rd at Club XC in Bend in 2013 and 7th in San Francisco two years later. He took the Pac NW 6 km Masters title this year and finished 4th in the 8K. Given his 1:12:21 in the Whidbey Island HM earlier in the year, perhaps 10K will be an even better distance for him. Combs, Cushing-Murray, Larson, and Lemme have often been close to, or on, the podium at National Road and Cross Country Championships in recent years. But they have not been able to break into the top 10 at Club XC. Gardiner has not had the chance as he has only recently become a US citizen. But he has often been the B.A.A. 's #2 to Hammer's number one in non-usatf races. With a field this packed it is always possible I have missed someone. Maybe it wil be Gordon who, asd I noted, beat Howell in the Stumptown 8K XC. We shall find out in a few days. Who should be picked for the first three across the line?. Chief contenders appear to be Davey and Maravilla from West Valley, Sallberg from Cal Coast, Howell and Mitchell from Bowerman, Loeffler, and Vrambout from Run Minnesota and, of course, Angell. Maravilla was ahead of Davey at the PA XC so I will include him in. Sallberg is always tough on a XC course. It would be hard ot pick against him. Loeffler is a bit of an outsider but is so strong at the longer distances it is hard to leave him out. Vrambout is a gamer so he will be in the hunt. And Angell has shown how tough he is all year. And what about Howell, 2nd last year? As always there is lots to find out on race day! Men 60+. Four of the top 5 finishers from last year are returning and Roger Sayre Boulder Road Runners who aged up shortly after Club XC, is added to the mix. Last year it was Joe Sheeran Club Northwest, Rick Becker Club Northwest, Ken Youngers Atlanta Track Club in 1st through third and Mike Anderson Atlanta Track Club in 5th. Those four raced on an 8K course last year; Sayre, still racing in the 40+ 10K course finished 104th. Sayre's pace was 3:38 per kilometer over a longer distance and faster than Sheeran's 3:41 pace. But Sheeran ran alone in the lead for the entire race while Sayre had plenty of runners around him for incentive. Sayre has faced Sheeran twice on the roads in 2018 and came away the winner each time, at 8K by 9 seconds and at the 5K by 7 seconds. While neither was decisive, that gives Sayre the current edge. Like Sheeran, Becker is another cross country ace. At the time he was still working his way back to full race fitness and finished quite a ways back from Sheeran, over 45 seconds. Becker was still 14 seconds back from Sheeran at the 5K road Championships in Atlanta in August. Sheeran is a tough, tough Cross Country runner. But Becker, as his two Harrier of the Year awards will attest, is no slouch by any means. Will he be able to challenge? My guess is that he will at least be much closer. In February, when neither Sheeran nor Sayre came east, Becker ran a terrific race at the USATF Cross Country Championships in Tallahassee. He edged Nat Larson in age grading and came in well ahead of Youngers and Anderson in the 60+ 8K race. Among repeat runners, those three are the favorites for first runner across the finish line in the 60 and up race in Spokane, although Atlanta teammates, Youngers and Anderson, cannot be discounted. They may find Spokane and its course more to their taste. The newcomer most likely to upset the apple cart is Jacob Nur River City Rebels. He took the 60-64 division title at the Pacific Association Cross Country Championship in 37:28. He ran a Thanksgiving 5K in 17:02. Added to that recent effort is a 1:18:24 at the Urban Cow HM in October and in the spring at the Sactown 10 Miler and the Norcal John Frank Memorial 10 Miler, efforts of 1:01:26 and 1:01:06. The latter is age-grade-equivalent to a 56:51. In terms of prep, I find no XC races for Sheeran, but he knows how to prepare. He did run a 38:15 10K in October. Becker's most recent effort appears to be the USATF Masters 15K Championship in Tulsa where he took 2nd, a minute behind Sayre's first place finish in 57:27. That was apparently Sayre's last outing as well. Passing on Tulsa, Youngers won the PNC Atlanta 10 Miler instead in 1:04:18; that is age-grade-equivalent to a 59:49 15K. Anderson and Youngers paced a Thanksgiving Day HM but apart from that I find nothing recent. Others who have been competitive not so long ago appear to be a bit off their best fitness. 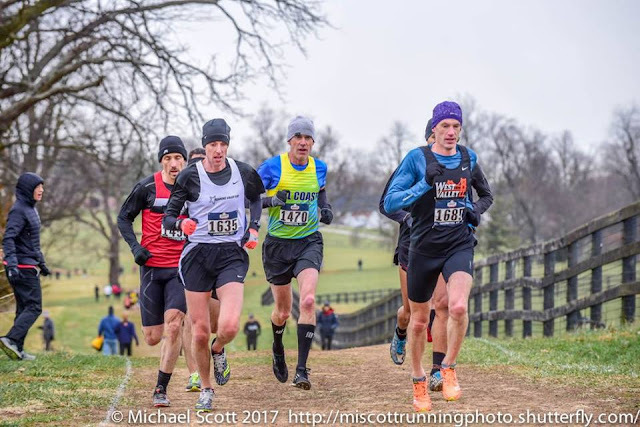 Mark Rybinski, Dan Spale, and Reno Stirrat were either on or close to a Club XC podium in 2016 and 2017 but have all had to battle injuries off and on. Spale appears to be the most likely to threaten at the moment. He had nearly a minute on Stirrat and over a minute on Rybinski at the 5K Championships in Atlanta. Spale took 3rd in the division at Club XC in Tallahassee behind Pilcher and Barbour, both of whom are absent this year on the comeback trail from injury. Other strong runners like Larry Coxe Bowerman Track Club John Holcomb Cal Coast Track Club, Norm Larson Green Mountain Athletic, and Monty Schafer Bowerman Track Club will be part of a lead pack or a chase pack, depending on how things develop, but it seems doubtful that any would stay with the leaders once a lasting surge is thrown in. Two runners from the Twin Cities' Run n' Fun team might have a chance at the podium if they can run together and push each other. Daniel Johnson and Doug Keller both ran 1:02 and change at the challenging Medtronic TC 10 Miler and matched that with 1:23-1:24 times in the City of Lakes HM. Roger Sayre has come in ahead of Sheeran and Becker too many times this year for me to pick against him. But there may not be a knife's edge difference between them when they toe the line. And I will stick with Sheeran for second. Becker celebrated his 64th birthday in November. Just getting on the podium at a big race like Club XC is quite a late birthday present in the last year in a division; moving up to 2nd would be cherries on the cake! The races should be very competitive. I cannot wait to see how they come out on the day! Next up, age divisions and teams!